Responsible approach to environmental protection is one of the main priorities for our company. Therefore we do not produce any waste during our production process, all wood material is processed in the secondary production of briquettes. MFI s.r.o. produces briquettes of the highest quality in a concurrence to the main production of panels. Our briquettes are pressed using a renowned German presses of RUF. Our briquettes are compressed using pressure of up to 300Barwithout using any bonding agentfrom a mixture of wood chips, shavings and dust from sanding and thus our briquettes arewhollyecological. 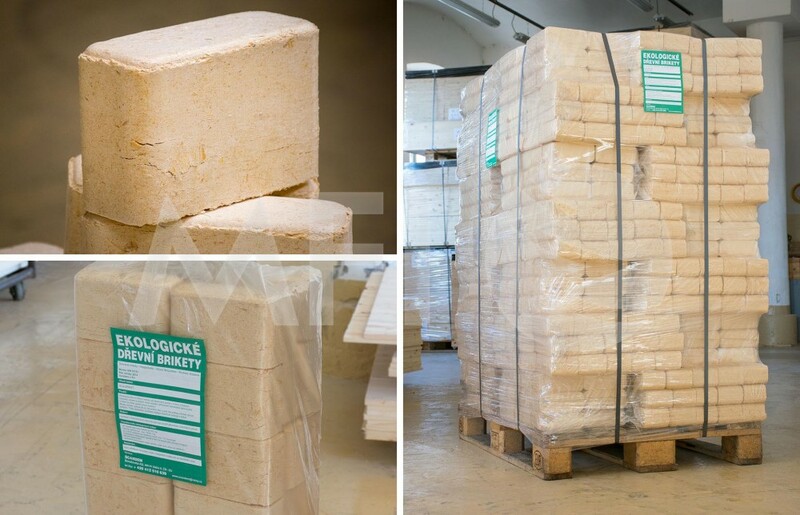 Due to the fact that we import only clean dried timber without bark, our briquettes reach highest potential parameters.